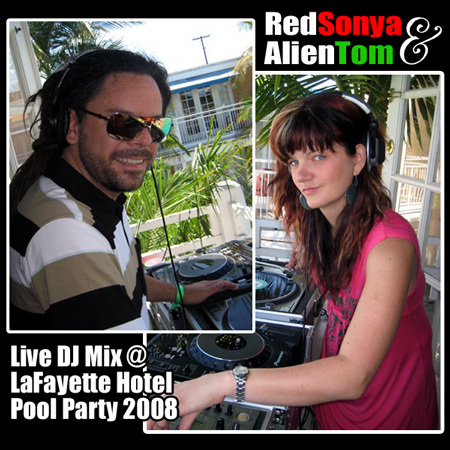 When DJ Red Sonya and Alien Tom DJ together, they are called Red Alien, or also known as "Red Alien Invasion". Listen and download their DJ mixes here! Here’s a live recording of Red Sonya & Alien Tom’s TagTeam DJ set @ The Lafayette Pool Party/Earthdance Benefit Event.